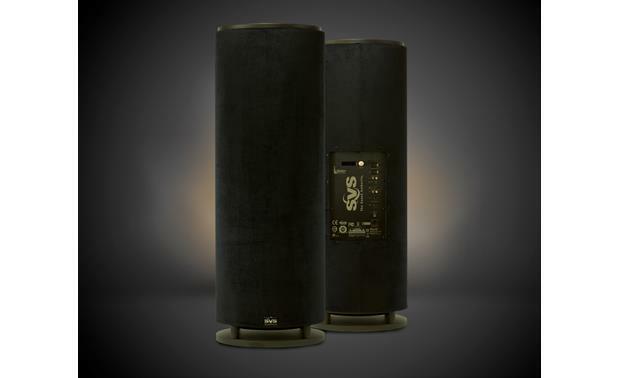 SVS built its reputation for outstanding performance on their original cylinder-shaped subwoofer. The PC13-Ultra is the most impressive version yet of that iconic design. 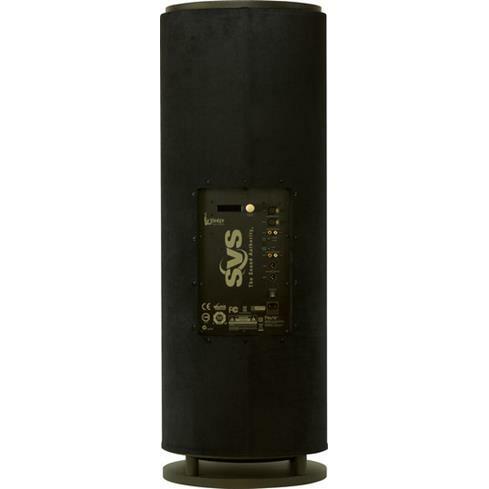 As the flagship of SVS's cylinder subwoofers, the PC13-Ultra combines staggering low-frequency output with subtlety and finesse that will please movie buffs and audiophiles alike. If you have a large room that you're looking to fill with thunderous deep bass that can extend down to a mind-bending 15 Hz, then you've come to the right place. The SVS PC13-Ultra delivers deep bass that will thrill home theater enthusiasts and music lovers alike. At the heart of the PC13-Ultra lies a muscular and sophisticated Class D amplifier. The amp's built-in Digital Signal Processor (DSP) dynamically controls output power to ensure you hear nothing but deep, low-distortion bass no matter how loud your music and movies get. On-board tools for fine-tuning the sound include dual digital parametric EQs with adjustable frequency, cut/boost, and Q values, plus an adjustable room gain compensation control to help tame pesky room response issues. And, of course, you get fully adjustable phase compensation and digital crossover controls. To make adjustments easier and keep track of all your settings, SVS put a bright, two-line LCD readout on the sub's back panel. And they also included stereo line-level RCA plus balanced XLR inputs and outputs for flexible connectivity with a wide range of audio gear, including high-end stereo preamps and A/V preamp/processors. The PC13-Ultra employs a bass-reflex (ported) cabinet design that allows its 13-1/2" driver to make long excursions for exceptionally deep bass at high output levels. SVS placed the sub's three flared, low-noise ports on top of the enclosure to minimize interaction with room boundaries for greater bass accuracy. They also included three dense foam plugs that allow you to customize how deep and loud the sub will play by blocking individual ports. The PB13-Ultra's strong, rigid, cylinder-shaped enclosure helps eliminate cabinet flex and resonance to keep your bass ultra-clean. This thing is massive in terms of size but it is also massive in terms of quality bass. I am not disappointed in the least in spending money on this wonderful cylinder of JOY! Cylinder Cabinet Design: The SVS PC13-Ultra powered subwoofer features a cylinder cabinet design and three top-firing 3.5" high-flow ports with inner/outer port flares for smooth, deep bass and high output efficiency. 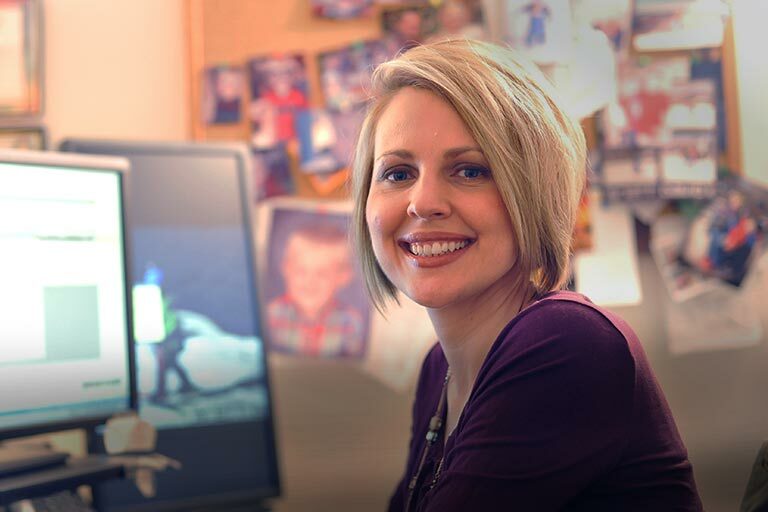 The cylinder styled PC13-Ultra outperforms many larger ported "box-style" powered subs. The SVS PC13-Ultra delivers unmatched bass performance per square inch of floor space giving you the sheer power of a much larger ported subwoofer. Its cylinder cabinet features MDF (Medium Density Fiberboard) construction and is wrapped in a black cloth, along with a non-resonant steel mesh grille on top. Note: There are 3 foam port blockers included if the powered sub's bass sound is too "boomy" and you prefer a tighter bass response. You can choose to block one, two, three, or zero ports. 13.5" High Output Woofer: The front-firing 13.5" high output woofer of the SVS PC13-Ultra powered subwoofer pumps out deep and powerful bass with low distortion, for smooth and accurate performance on music and movies soundtracks. The woofer features an ultra-light and rigid 13.5" composite pulp/fiberglass cone for excellent transient response, dual linear-roll spiders and stitched parabolic surround for extreme excursion capability, and a bifilar wound 3" high-power aluminum voice coil for extreme power handling. The woofer's Finite Element Analysis (FEA)-optimized motor with copper shorting sleeve reduces gap induction and distortion, while its oversized pole vent allows for greater cooling. STA-1000D Sledge Amplifier: The PC13-Ultra powered subwoofer employs a Sledge STA-1000D amplifier with efficient and cool-running Class D topology. The amplifier is conservatively rated at 1000 watts RMS and 3600 watts Peak. This amp features a highly advanced DSP & EQ processor offering unmatched control over the subwoofer at all volume levels, for distortion free bass. Rigid Ported Enclosure: The SVS PC13-Ultra powered subwoofer features a rigid MDF (Medium Density Fiberboard) cabinet with screw-in rubber feet and a non-resonant steel mesh grille to resist unwanted distortion caused by vibration. The cabinet utilizes a bass reflex (ported) design with three front-firing 3.5" high-flow ports with inner/outer port flares for smooth bass and extremely high output. The cabinet is elegantly finished in a premium black oak wood veneer or gloss piano-black lacquer, and fits with practically any décor. LCD & Controller: There is a rear-panel 3-way knob and a two-line LCD that allow you to set the various functions and parameters of the PC13-Ultra powered subwoofer. Volume: The Volume Control (-100 to 0dB) affects how loud the powered subwoofer plays. It should be adjusted to match the output level of your loudspeakers. Low Pass Filter: The Low Pass Filter sets the frequency and slope for the low frequencies that will be played by the powered subwoofer. Frequency choices include 31, 40, 50, 63, 80, 100, and 125Hz. Two Slope choices are available; 12 dB per octave and 24 dB per octave. You can disable the Low Pass Filter, if your AV receiver features an LFE output and built-in bass management for the subwoofer. Phase Degree: The Phase Degree Function allows the adjustment of timing for the arrival of bass information from the subwoofer to the listening position. This allows for a finer degree of subwoofer integration with your main loudspeakers. The range of adjustment of this control is 0 to 10 milliseconds in 1 millisecond increments. Subwoofer Tune: The Subwoofer Tune Function allows the PC13-Ultra's subsonic filter to be set based upon how the ports have been blocked on the ported subwoofer. The range of adjustment of this control is 20Hz (all ports open), 16Hz (one port blocked) or Sealed (all ports blocked). High Pass Filter: The subwoofer's output can have a High Pass Filter applied. The HPF Function controls the High Pass frequency and the associated slope of the roll off for the output connectors on the powered sub. Frequency choices include 31, 40, 50, 63, 80, 100, and 125Hz. Two Slope choices are available;12 dB per octave and 24 dB per octave. Or, you can simply disable the HPF. Room Correction: The SVS PC13-Ultra powered subwoofer provides Room Compensation and P-EQ functions that help compensate for your room characteristics and boost the level of bass performance. Room Compensation: The Room Gain Compensation Function allows the subwoofer to be set to compensate for the increase in low frequency sound based upon the size of the room, if it is felt there is too much bass. Small rooms will have a greater increase in low frequency sound than larger rooms. There is no need to use this control unless it is felt there is too much low frequency energy being generated in the listening environment. This function operates by setting a corner frequency of 40Hz (small size rooms), 31Hz (medium size rooms), 25Hz (large size rooms) or Disabled (no compensation), and allows a target slope of either 6 dB per octave (first order) or 12 dB per octave (second order) roll off from the selected corner frequency. P-EQ Function: The P-EQ Function allows room environments that exaggerate certain bass frequencies to be reduced to by up to 12dB. Dips in frequency response can be boosted by up to 3dB. The result of a reduction tames "boominess" and "one note bass" phenomenon that occur when a narrow range of bass frequencies are significantly louder than surrounding frequencies. Boosting a dip can bring forward frequencies that are masked by normal levels around the dip. Available center frequencies include 31, 35, 40, 46, 50, 56, 63, 70, 80, 90, 100, 112, or 125Hz. Q values include 2.0, 2.4, 2.9, 3.6, 4.8, 5.7, 7.2, 9.6, or 14.4. The Level can then be adjusted from +3 to -12 dB in 1 dB increments. Balanced & Unbalanced Connectivity: There are two types of input & output connectors on the PC13-Ultra powered sub; Balanced XLR and unbalanced RCA. There are Left/Right input and output channels for both types of connectors. Inputs: For a single mono input connection to a home theater receiver with an LFE output, use either the powered sub's left or right input. For stereo receivers without an LFE input, use both the L/R inputs. There is a switch below the input connectors labeled "Input Level". This switch can be used to select either consumer audio (Normal) or pro audio (Hi-Level) voltage levels depending on the source device. Placement Options: The cylinder cabinet's footprint lends itself to more placement options. Tucked in the corner, the PC12-Plus can deliver immense audio punch to movies and music played back at high levels. The cylinder style powered sub is right at home in space- and style-restricted rooms and home theaters, putting truly high end audio performance into a small footprint. If possible, place the subwoofer near the front stage, for best blending with the front and center loudspeaker channels. Dual Subs: To maximize the bass output and impact of your home theater, two PC13-Ultra(s) can be paired; one on either side of your room. 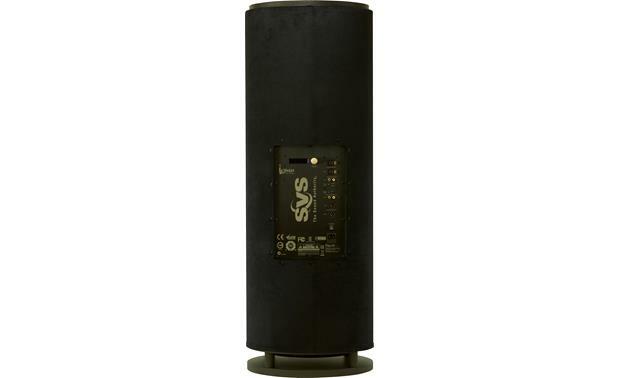 Searches related to the SVS PC13-Ultra Cylinder-style powered subwoofer.